Full diamond eternity ring with 3.00cts of princess and baguette cut diamonds set alternately within a channel setting. 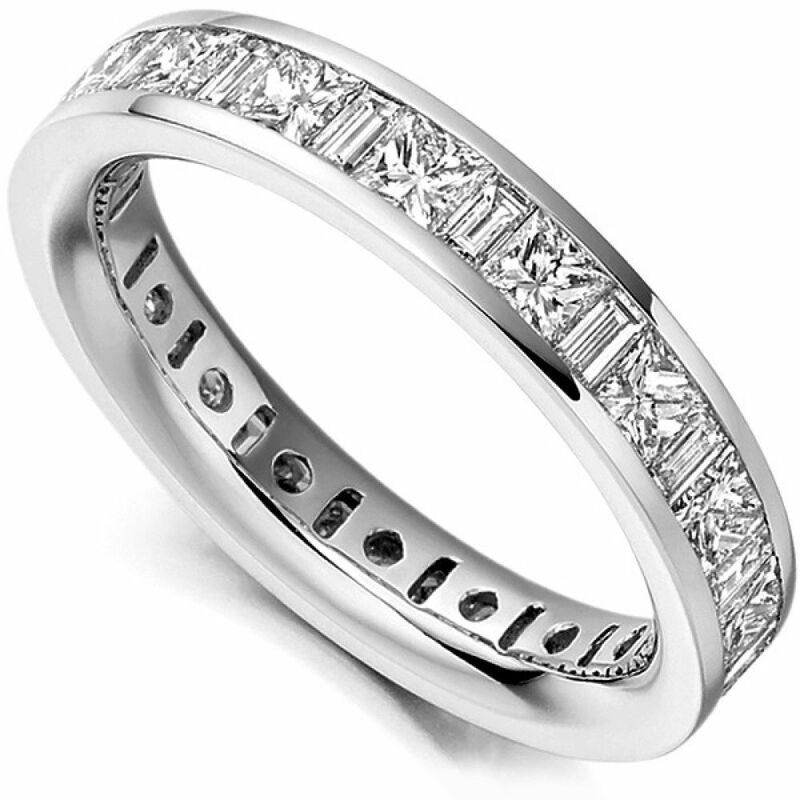 This Diamond Eternity Ring features two Diamond cuts bought together in one piece with the alternating pattern of Princess cut Diamonds and Baguette cut Diamonds. They have been skilfully positioned to create a fully set band which is 4.2mm in width, and has a channel setting where the Diamonds are completely secure. There is a total of 3cts set into the band which have been graded F/G in Colour and VS in Clarity. This ring can be at your door gift packaged in 3 weeks, as it is crafted to order. 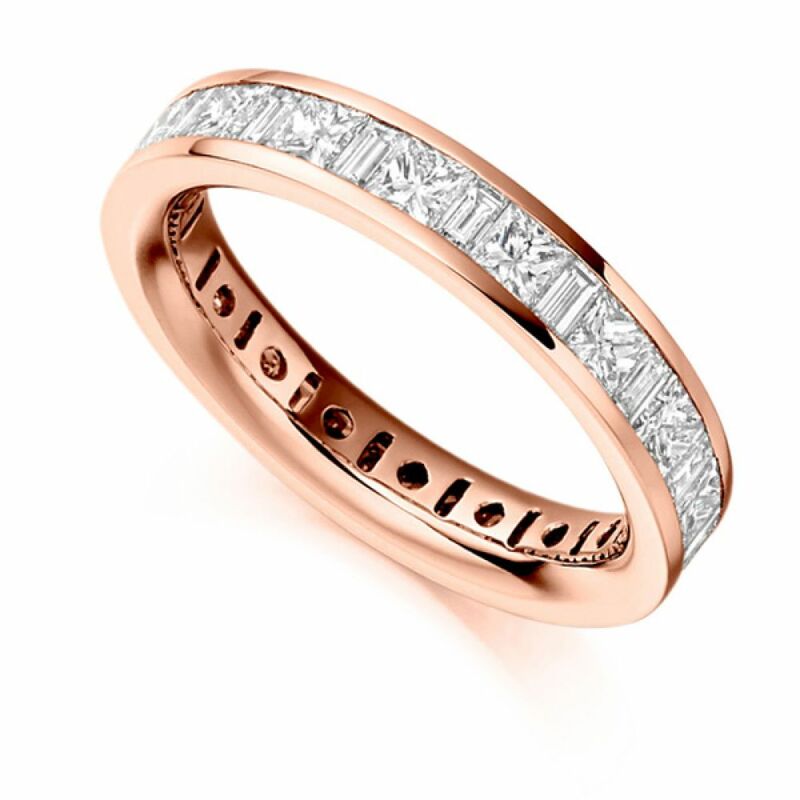 We can create your ring following finishes to create a personal touch: 18ct White Gold, 18ct Yellow Gold, 18ct Rose Gold, 950 Platinum, and 950 Palladium.